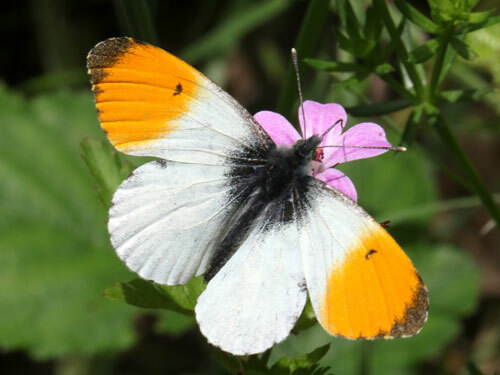 A common sight across most of Europe as one of the earliest butterflies on the wing. 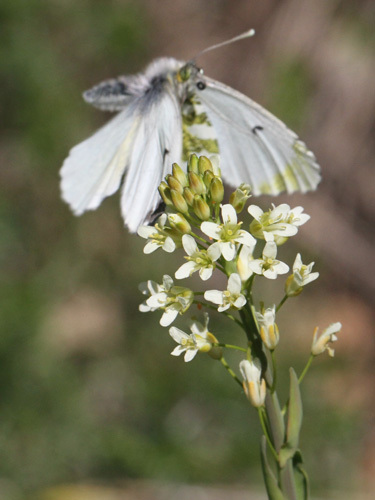 It can also be encountered in July in alpine situations. 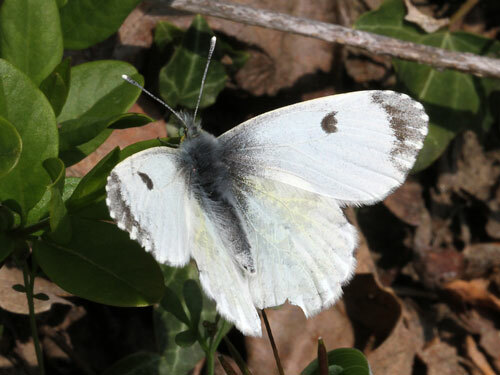 The male is very distinctive. 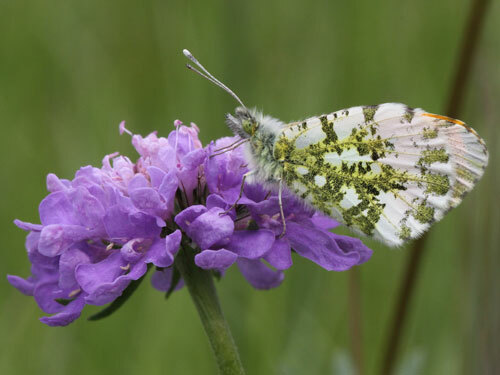 Identification & Similar species: The orange tip of the male is a well known sight at roadsides, woodlands and meadows in early spring. 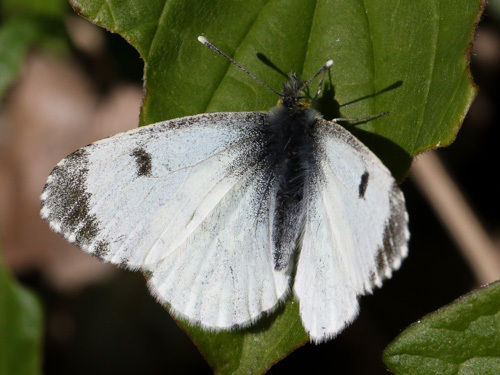 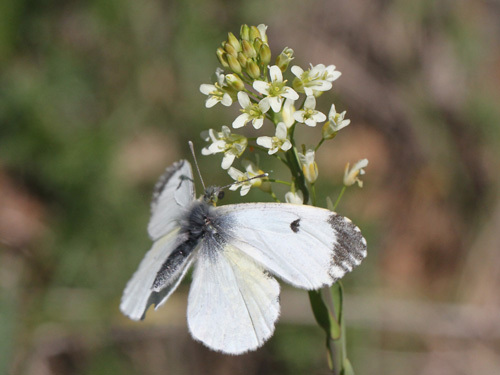 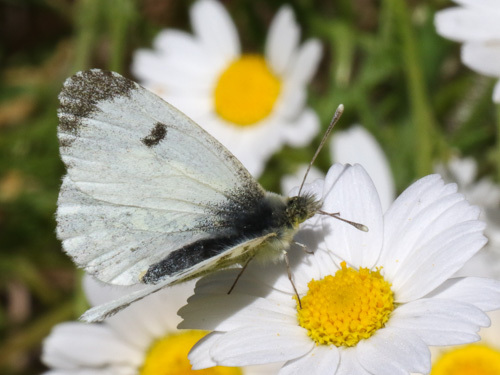 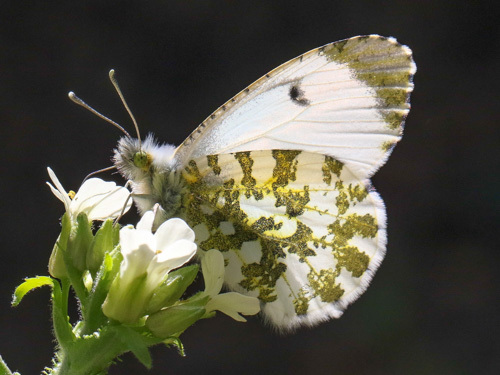 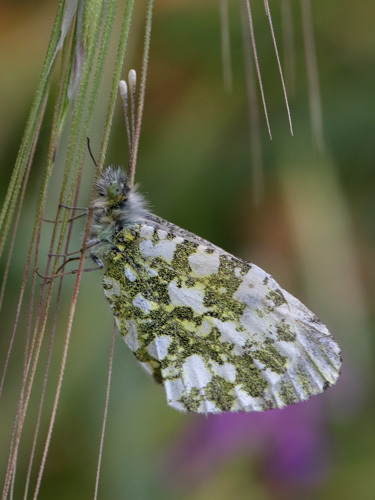 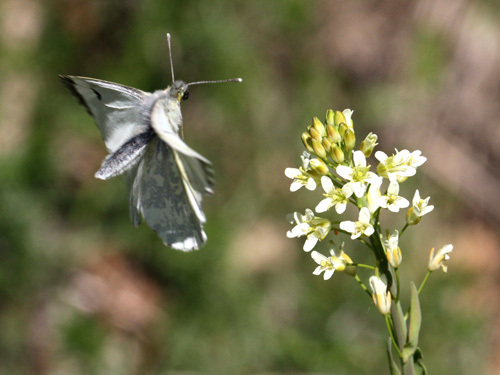 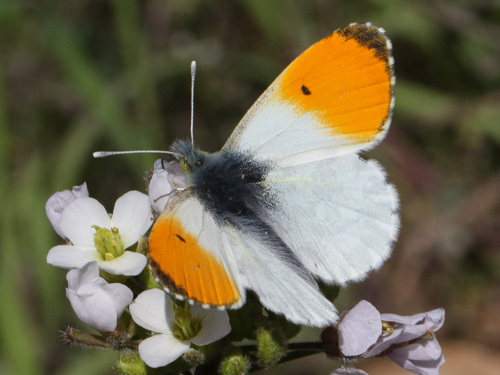 It is the only Anthocharis with a pure white upperside ground colour. 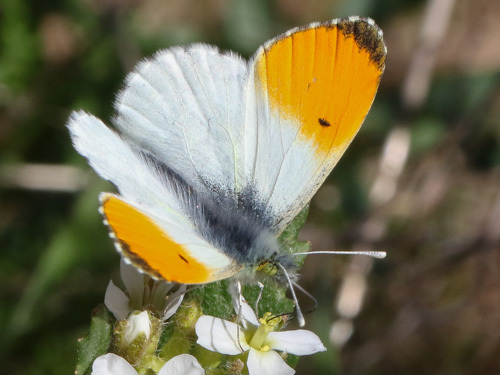 The female is rather less conspicuous, lacking the orange tips. 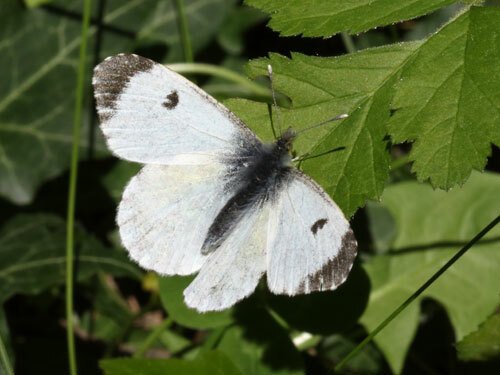 It is also much less active meaning it is encountered much less frequently than the male. 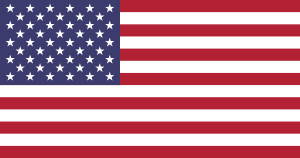 Distribution & Flight: Throughout all of Europe except areas of north Scandinavia and south Spain. 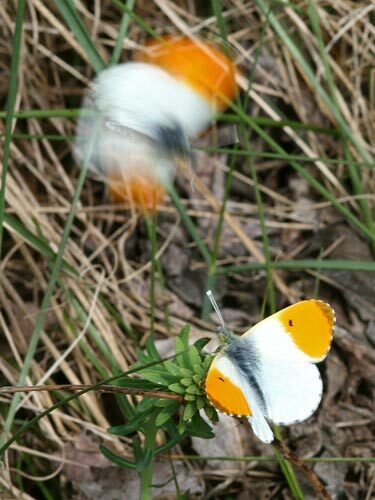 It is single brooded flying from early spring. 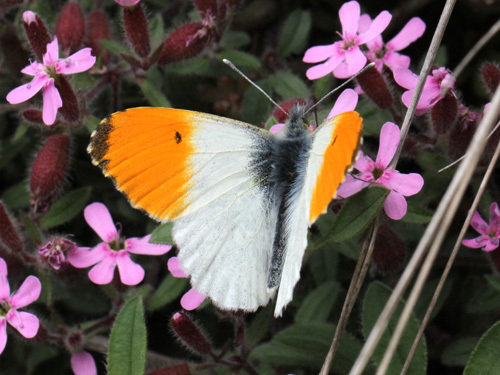 At low levels this is March/ April to May, at alpine levels in June/ July. 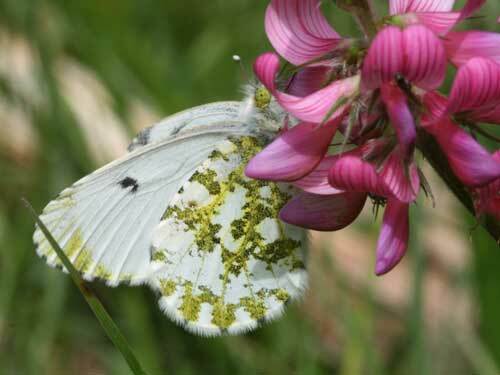 Habitat & Behaviour: Hedgerows, woodland edges and flowery places at all levels to over 2000m. 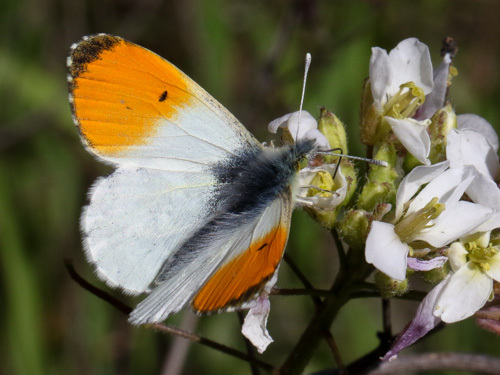 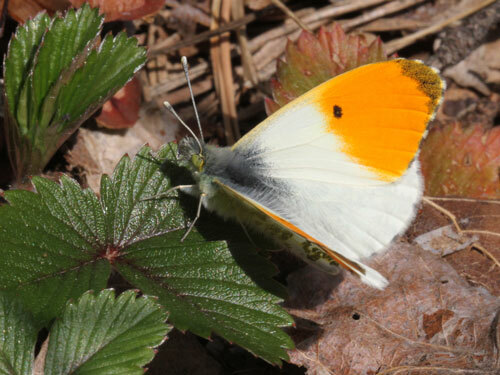 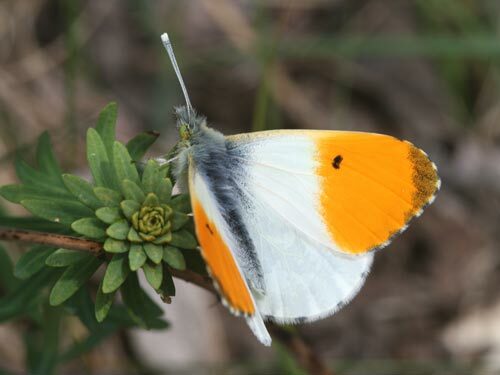 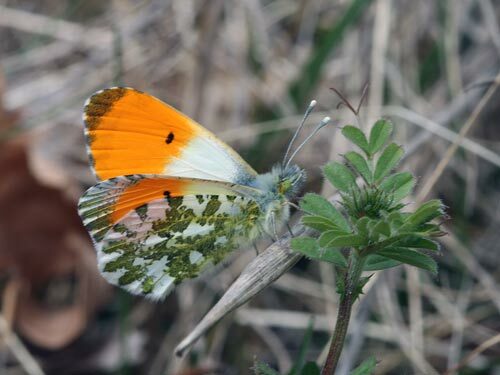 Males are frequently seen in gardens and roadsides and are easily separated from a distance by their orange tips. 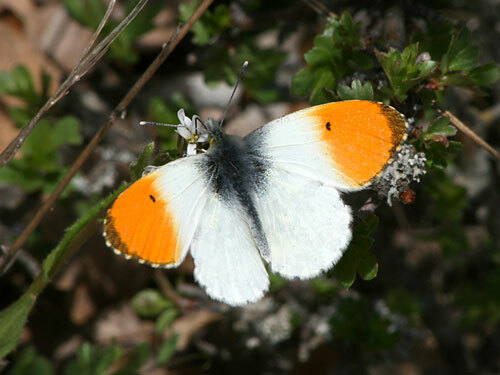 The female lacks the distinctive orange patches of the male.